Because of their capital needs, telecoms and utilities have an inverse relationship with interest rates. The Bank of Canada earlier this month raised its benchmark interest rate by another 25 basis points to 1.5%, following in the footsteps of the U.S. Federal reserve, its counterpart south of the border. It was the fourth time in the last 12 months that Canada's central bank increased its overnight interest rate. Both the Fed and Bank of Canada have hinted at more rate hikes to come. The move signifies central banks' growing confidence in the strength of their respective economies and the trajectory of inflation. While rate hikes are generally a sign of a healthy economy, and a positive for stock markets, they tend to adversely affect some sectors and cause them to underperform. For investors, this means stocks in sectors such as telecommunications and utilities warrant a fresh appraisal. The prices of these stocks have an inverse relationship with interest rates. Due to the capital-intensive nature of companies in these sectors, they need to frequently borrow capital to drive growth and upgrade infrastructure. So when interest rates climb, they push borrowing costs higher, leading to increased debt levels. Further, income investors pick these stocks for their attractive dividends, which provide stable income relative to the more volatile component of their portfolio and serve as an alternative to bonds. However, when yields rise, risk-averse investors may be tempted to pick bonds over utility and telecoms stocks, causing the prices of these equities to fall. Considering the recent run-up in the rates, and the expectation of further hikes, this may be a good time for investors to review and reassess rate-sensitive holdings in their portfolios. Not unexpectedly, the performance of the following stocks has been mediocre lately. On a year-to-date basis, their prices have fallen or remained flat, consistent with the more than 8% loss for the S&P 500 Telecommunication Services Index and a measly 1% gain for the S&P 500 Utilities Index, significantly underperforming the broader S&P 500 Index which has rung up nearly 6% gains, as of July 20, 2018. Southern Company (SO), the second-largest utility in the United States by customer count, distributes electricity and natural gas to approximately 9 million customers in nine states. The firm's growing unregulated unit, Southern Power, comprises natural gas, solar and wind projects in Texas, California and other states. "Southern Company is undergoing one of the most dramatic transformations in the usually stodgy world of regulated utilities," says a Morningstar report. The firm is working to lower its reliance on coal for electricity generation from 80% in 2000 to 20% by 2030, the report says, noting that "nuclear, natural gas and renewable energy are all increasing their share of generation." The company recently announced a goal of low- and no-carbon generation by 2050, which would entail shuttering the remaining coal plants. However, the transformation has had its share of road bumps. In 2017, wholly-owned Georgia Power took over construction of the Vogtle Nuclear Plant from now-bankrupt Toshiba's Westinghouse Electric Co. Vogtle's total capital cost is estimated to be about US$19 billion, of which US$8.8 billion is GP's share excluding financing. "The plant is five years behind schedule and more than double the initial cost estimates when the project was certified by regulators," says Morningstar equity analyst Charles Fishman. Further, the company's operations have been marred by delays and cost overruns, while projects are running behind schedule. The company has had to abandon some operations, leading to billions of dollars in write-offs. Southern has admitted in a press release that higher interest rates can have a material impact on its balance sheet. Fortis (FTS) serves more than 2.5 million electricity and gas customers in Canada and the United States. While it owns and operates assets in both countries, recent acquisitions south of the border have made Fortis predominantly a U.S. utility (roughly 60% of earnings). The crown jewel of its U.S. assets is its majority stake in ITC Holdings, which it acquired for US$11.3 billion. "Fortis' previous acquisitions were pricey, but the ITC acquisition gives Fortis an opportunity to benefit from a long runway of U.S. transmission investment opportunities at a reasonable price," says a Morningstar report. "ITC's rates are based on allowed returns on equity that are high compared with state-allowed returns for most other utilities." Fortis generates its earnings both from narrow-moat regulated gas and electric assets and wide-moat ITC, which benefits from regulatory protection. On the Canadian side, the utility's main regulated operations are in British Columbia, Alberta and Newfoundland. 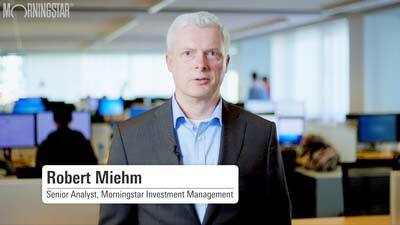 "These relatively low-risk operations result in stable earnings and [helped] fund the consistent dividend growth of the past four decades," says Morningstar equity analyst Andrew Bischof, who pegs the stock's fair value at $46, forecasting 1.5% annual energy use growth at the Canadian utilities and 1.0% in the U.S. Although its earnings and dividend are projected to grow 5% and 6%, respectively, over the next five years, the firm is not immune from regulatory and interest rate risks. "The company faces regulatory risks that create uncertainties around costs and allowed returns," Bischof says, further adding that "Fortis faces the risk of an inflationary environment that would raise borrowing costs and make other investments more attractive for income-seeking investors." The largest wireless carrier in Canada with 10 million subscribers, Rogers Communications (RCI.B) holds one third of the total Canadian market. The firm's wireless business accounts for 60% of the total sales while the rest comes from its media unit, which includes various television and radio stations, digital media and publishing assets. The company also owns the Toronto Blue Jays and has stakes in the Toronto Maple Leafs, Raptors and Argonauts. Like telecom companies elsewhere, Canadian telecoms have an inverse relationship with interest rates and may have to contend with higher borrowing costs in addition to mounting competitive pressures and digital disruption. "Greater competition in both the wireless and cable segments (collectively about 85% of total revenue) in the medium term will result in more modest subscriber gains, less pricing power and minimal EBITDA margin expansion," says a Morningstar equity report, which forecasts "fairly stagnant rates of penetration and only modest margin improvement." Rogers's wireless segment, which makes up the bulk of revenue, appears to be losing both its quality and competitive edge. "As Rogers has been spending more on its cable network, wireless capital expenditures have declined dramatically," says Morningstar equity analyst Matthew Dolgin, adding it is "not a coincidence that its wireless network quality has suffered." According to PCMag, Rogers had the fastest wireless network in 2013, but by 2017 Telus and Bell were both twice as fast as Rogers. "When combined with the threat of [Shaw Communications'] Freedom Mobile's new wireless offering, Rogers has ground to make up to maintain its wireless position," says Dolgin, who pegs the stock's fair value at $57. BCE (BCE) is the biggest Canadian broadband provider with nearly 4 million residential customers and a footprint that reaches three-quarters of the population. Through its Bell brand, the company offers wireless services to 9 million customers (30% of the market), while its media segment (Bell Media) comprises television, radio and digital media assets, along with exclusive licences for a range of entertainment content including HBO and Showtime. Of the four biggest Canadian providers of wireline and wireless services, BCE is the most favourably positioned. "BCE is now building fibre-to-the-home over much of its footprint, which will meaningfully reduce operating costs, allow it to offer speeds comparable to or better than competitors, and charge higher prices," says a Morningstar report, which projects improved penetration rate and greater market share. BCE's network sharing agreement with Telus and Rogers's failure to keep pace have added to BCE's competitive advantage. "We see BCE as being in the best position in Canadian wireless, where Bell, Rogers and Telus collectively serve about 90% of the market with similar share," says Dolgin, who appraises the stock to be worth $62, driven by "solid but not eye-popping" growth in EBITDA and revenue. That said, climbing interest rates and regulatory risk will continue to pose challenges and put pressure on Canada's telecom stocks, according to an annual outlook report from Desjardins Capital Markets. The government is pushing for more vigorous wireless competition, and typically gives favourable status to small competitors in spectrum auctions. "[Larger] telecom companies are typically always at risk of closer government oversight," Dolgin notes.